Born in New Orleans, Jim Fraiser grew up in Greenwood, Mississippi, and attended Ole Miss as an undergraduate and for law school. He is the director of legal services for the Mississippi band of Choctaw Indians, representing six thousand tribal members in all their legal matters. He has served as a Hinds County assistant district attorney and as Mississippi special assistant attorney general. In addition to his books published by Pelican, he has also published a novel and four works of nonfiction. He has published eight law-journal articles featured in national publications and two original and produced plays, The Judas Principle and Cosmos by Copernicus. Four of his dramatic adaptations of books have been produced: Walker Percy's Love in the Ruins, Ernest Hemingway's The Sun Also Rises, Plato's Symposium, and Alex Haley's Autobiography of Malcolm X. 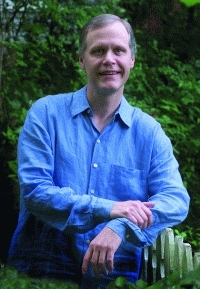 As though his roles as lawyer and writer are not enough, Jim Fraiser is also a professional actor and has directed and/or performed in many plays in regional professional theater. He has been featured in roles in several motion pictures, including Blind Vengeance, Good Ole Boy, Ode to Billie Joe, Nightmare in Badham County, and Mississippi Burning. His most recent role was as veterinarian Wiley Sims in the popular 2000 film My Dog Skip. He and his wife, Carole, live in Jackson, Mississippi, and have two daughters, Lucy and Mary Adelyn. The buildings of Louisiana’s state capital are a continuing monument to its history. Each of the city’s celebrated structures has a story to tell in this collection of more than fifty profiles. Included in each building’s description are additions, renovations, and residents’ personalities. The assassination of Gov. Huey P. Long and his subsequent burial in the English gardens of the Louisiana Capitol and the rare Greek Revival-styling of Santa Maria Plantation are some of the featured characteristics of these storied Baton Rouge buildings. Mississippi is well known for its rich soil and plantation mansions, but the bluffs and prairies of its eastern boundary are often overlooked. Here, Jim Fraiser takes a deeper look at those historical gems of eastern Mississippi and its coast. From Pascagoula to Tupelo, and Jackson too, the beauty of Mississippi’s historic homes shines through Rick Guy’s stunning photography. Hardcover. An important part of Mobile history lies in the foundations of its realty. Each of the city’s 1800s structures has a story to tell and all are included in this collection of more than sixty profiles. Enhancing each building’s character are additions, renovations, and residents’ personalities. The addition of Lewis Carroll’s (the author of Alice in Wonderland) iron gates to a cotton broker’s 1859 mixed-style brick townhouse or the eastern side-parlors constructed on the 1868 Revival-style cottage after it was sold to a schooner captain are only a few of the transformations that give Mobile’s older homes such specific personalities. From historic Port Gibson to up the river toward Memphis, Jim Fraiser’s evocative text details the architectural features of homes, churches, and stores dating back as far as the early nineteenth century. Whatever your taste in tales, the photographs capture the seldom-seen interiors and abundant details of these grand homes and simple structures remarkable for their tenacious grip on the land. Hardcover. Mississippi River Country Tales is a fast-paced, easy to read history that covers everything from the early conquistadors and the first Mardi Gras to Fannie Lou Hamer and Archie Manning, and covers the geographic region from Mississippi, Tennessee, Alabama, and Louisiana. Paperback. The day before Hurricane Katrina’s thirty-five-foot-tall tidal surge wiped away three hundred years of the Gulf Coast’s history, including numerous antebellum and other historic structures, Jim Fraiser and Rick Guy were still photographing the Mississippi Gulf Coast to document and preserve her history, culture, and architecture.